Saturday, 30 March 2019. 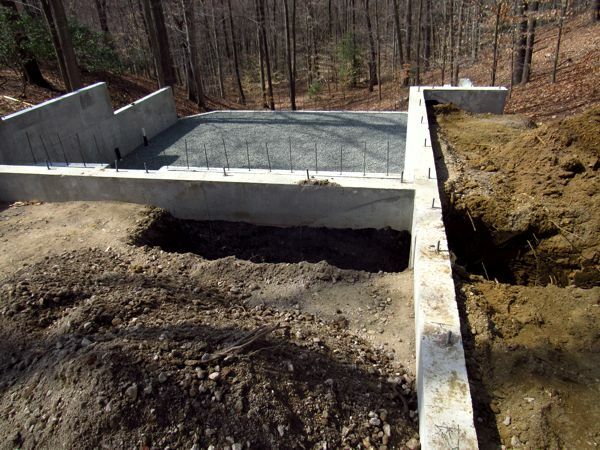 The foundation was a day away from being finished three years ago; all that remained to be done were the slabs for the garage and front porch. I was already out on the day-old living area slab with fittings to work on the plumbing. Friday, 29 March 2019. 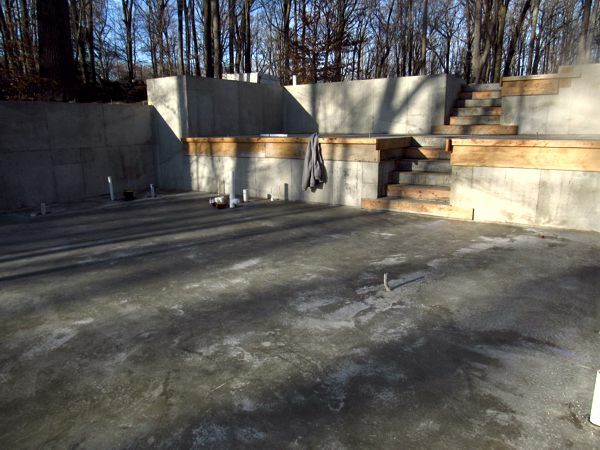 Three years ago today, three of the five slabs were poured. It was a lot of hard manual labor that was done exceptionally well. Today the well trench is inching along; my target for hookup is the first week in May. Thursday, 28 March 2019. 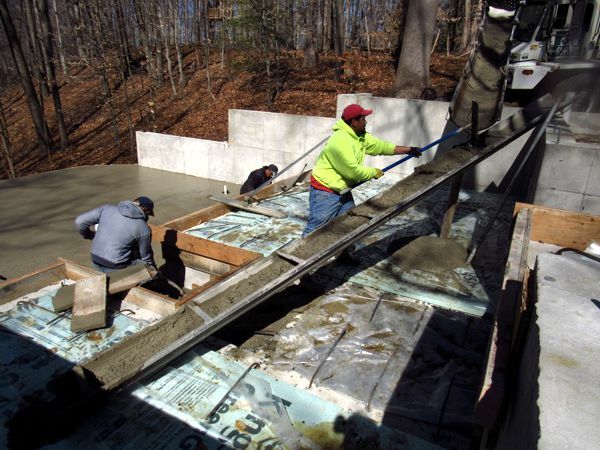 Three years ago we were on a brief hiatus waiting for the concrete fellows to schedule the delivery of more 'crete; they didn't start pouring the slabs until "tomorrow." Yesterday, the trench digging—more accurately mud-slinging—has resumed; today should see considerably more progress as two volunteers will have at it instead of the usual one. Wednesday, 27 March 2019. By Saturday we're supposed to hit 70 (after being in the 20s last night). Then I won't have any excuse to not be working outside. But right now I'm struggling just to surface for some air... and patiently waiting to see some green. Tuesday, 26 March 2019. 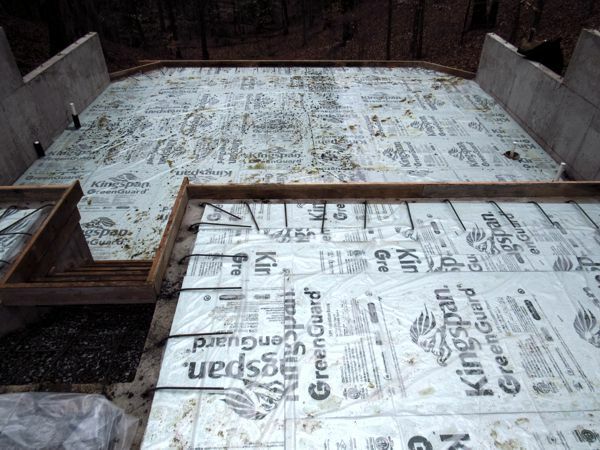 Three years ago, the concrete crew completed making forms for the slabs and steps, and laid down a layer of foam to help keep the slabs from becoming frigid in the winter. It must work, because although the floors feel cool, they're not uncomfortable. As far as house progress goes, there's been none of late, as I'm still immobilized by a spate of deep repression—that, and a really sore knee. Monday, 25 March 2019. 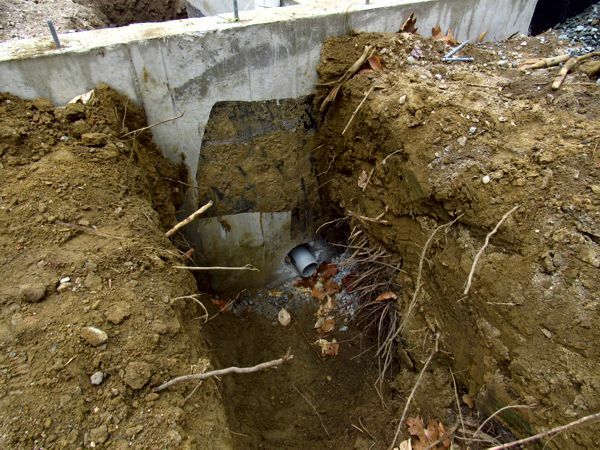 Three years ago, the conduit into the garage was installed and backfilled. Today, the view above is about to be recreated, as a trench from there to the well is being dug by hand. 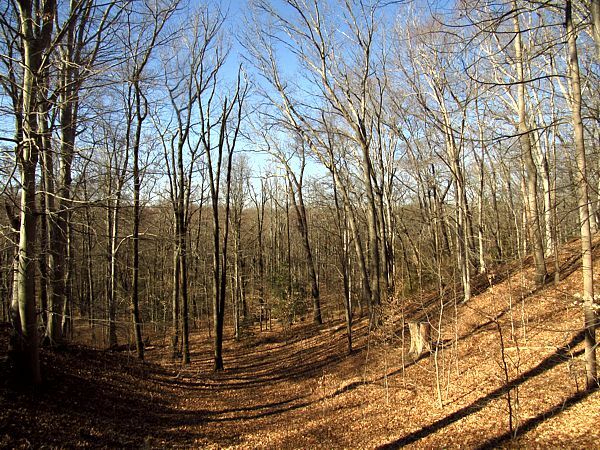 Unfortunately, a surfeit of rain has made it a muddy mote, but better weather is supposedly on the way: after today's rain, the rest of the week is supposed to be sunny and headed for the 60s. Finally. Sunday, 24 March 2019. 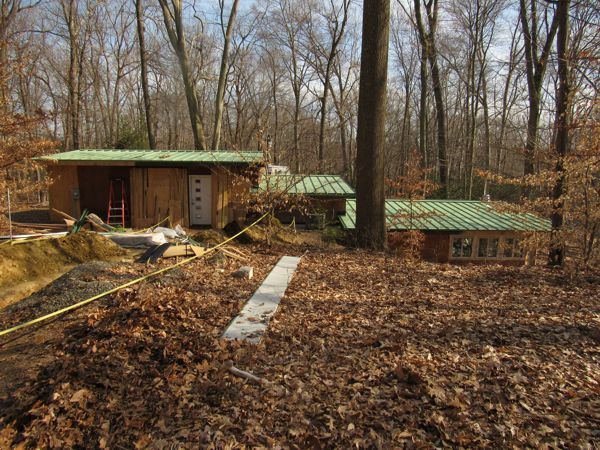 Three years ago, all of the clean stone was down for the slabs, and the excavation crew was working on the well hookup where it enters the house; they dug a short trench so they could bore a hole in the foundation wall for a 4-inch 90° sweep to bring the water line up into the corner of the garage. Fast-forward to present-day, and it's cold and wet. That's all we've had so far this year, cold and wet. More rain is expected tomorrow, with lows in the 20s for the whole week. Oh goodie, the mote is going to freeze over.